Very soon after Purple Essentials first opened our new boutique in Qualicum Beach, BC, customers began telling us about one particularly amazing event that takes over the town every Father's Day, one mentioned by Oprah herself as "One of the 10 best things to do on Father’s Day" ... the Seaside Cruizers' Show 'N Shine!!! As I type this post, I can already hear the workers outside already prepping for tomorrow's early morning takeover of Qualicum Beach. With most of the downtown core blocked off to traffic for a good part of the day, starting at 5:30am, we have been advised to get to our shop REALLY early if we want to beat the crowds ... and given that this is our first Show 'N Shine experience, we definitely want to ready our Fresh & Natural boutique for visitors! 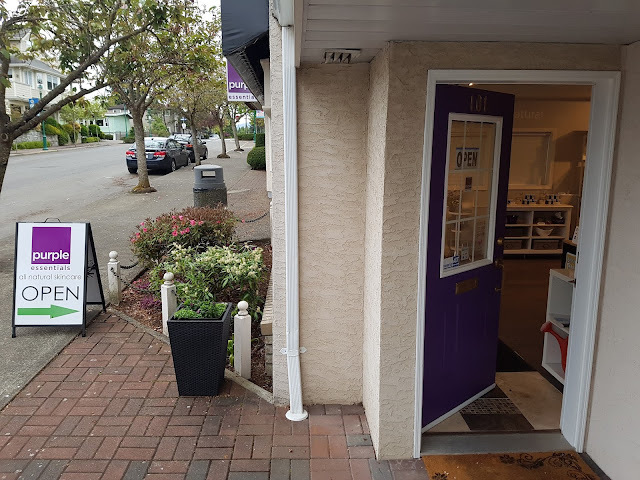 Purple Essentials, a member of the Qualicum Beach Downtown Business Association (QBDBA), and an official Car Buff Merchant on the QBDBA Ladies Walk 2017, invites you to discover our 663 Beach Road studio this Father's Day - June 18, 2017. Drop in to shop our handcrafted, fresh & natural skincare, small batched and packaged onsite, along with a diverse selection of aromatherapy products - diffusers, oils and blends. We ship across North America, so feel free to fall in love with how our products nurture your Skin, Senses & Wellbeing - we'll ship right to your door! This Father's Day in Qualicum Beach, REACH TO BEACH and discover Purple Essentials! !